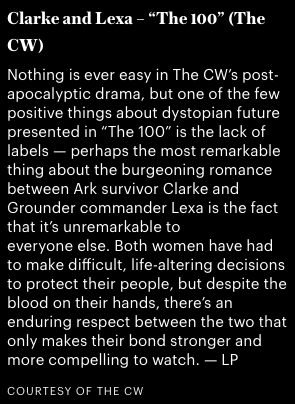 Fan Forum > Female Celebrities > Alycia Debnam-Carey > Fated Soulmates [Clarke ♥ Lexa ] #103:"There's an enduring respect between the two that only makes their bond stronger and more compelling to watch"
Fated Soulmates [Clarke ♥ Lexa ] #103:"There's an enduring respect between the two that only makes their bond stronger and more compelling to watch"
~~The Reason why I love Clexa is that they learned from each other how to love again. Both lost a Person they loved and both went through horrible experiences. full of love and what they had with each other will always stay in their and my Heart. 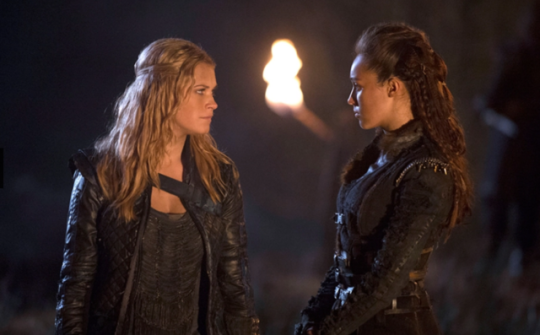 ~~Pairing Clarke and Lexa romantically is an amazing source of chemistry and tension for the series. each other, enrich each other, show each other new ways of life and opportunities. love Clarke the way Lexa does. And the other way around. there and it will live on forever. made me fall in love with them so naturally. Clarke's eyes over her. You can still see their love even when Lexa is gone. and beyond, it's infinity...it will never end. It will carry on life after life. and deep understanding that no one will ever understand but them. on record forever, and forever they are ours. the other lacks. Lexa brings experience. Clarke brings new ideas. that I really can't even begin to explain. "Seeing her open up from this closed-off person — ruthless, pragmatic and logical — to see her finally open up and Clarke being such a catalyst for that"
+ Bob Morely shipping Clexa since 2014. + Somewhere out there, there's a path that we chose, there's a life that we share. + I don't know who's gonna kiss you when I'm gone, so I'll love you now, like it's all I have. + I know this will kill me when it's over but I don't wanna think about it. I just wanna love you now. + I will find you day after day, life after life, until fate lays down her weapons and weds us together into a single soul. + If I tell you I love you, can I keep you forever? Variety is so right! And 2 Years after her Death, Clexa is still in the Headlines and Ranking! These two powerful leaders fell in love as they tried to corral their respective idiots into some kind of peaceful alliance. Then they friggin’ killed Lexa in the worst way, and I couldn’t watch the show anymore. Why do I love ‘em? This is still a beautifully crafted and acted love story with two awesome characters. Too bad it crapped out at the end. Womp womp.